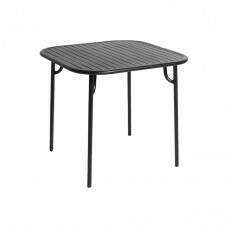 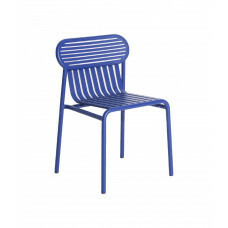 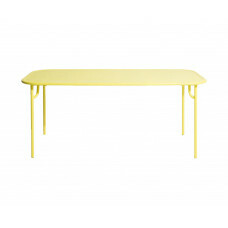 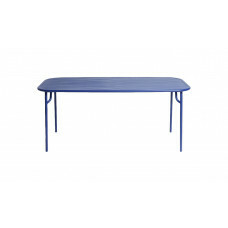 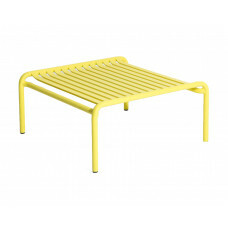 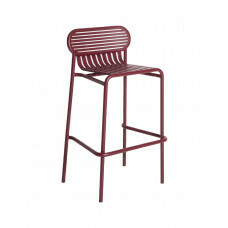 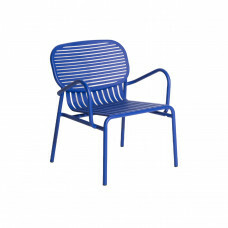 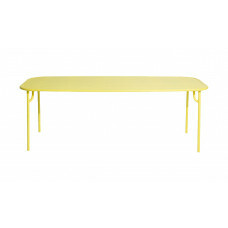 The WEEK-END collection is a full range of outdoor furniture. 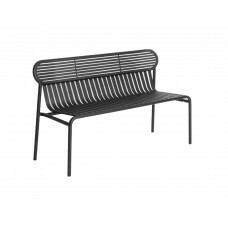 Designed with practicality in mind, all of the seats are stackable. 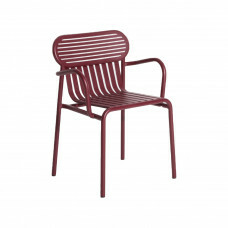 The oval and circular shape drawn by the backrests makes them a graphic statement. 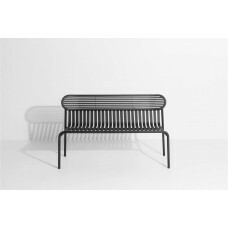 The impact of the horizontal and vertical slats, so similar to stripes, highlights the full and empty spaces, asser ting the identity of the collection.